Seeing your bride or groom as you walk down the aisle is one of those top moments that you imagine for your wedding day. But what if you could get this moment twice? You can! 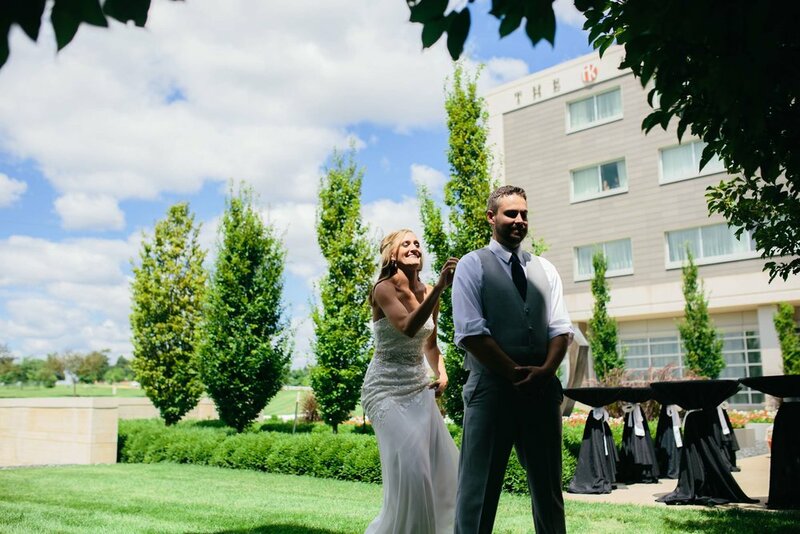 Having a first look is a modern tradition that we highly encourage. This photo session slows everything down to a cozy moment for just you two. Most importantly, this quiet moment will allow for you to get out any nerves of anticipation so you feel, look and are relaxed for the rest of the photos. Then, once it’s ceremony time, you get that “down the aisle moment”, which is still just as important, because now you get to marry the one you love. The first look is one of the very few moments on your wedding day where you’ll get to enjoy quiet, alone time. The rest of the day will be filled with the excitement of family and friends sharing the love with you. 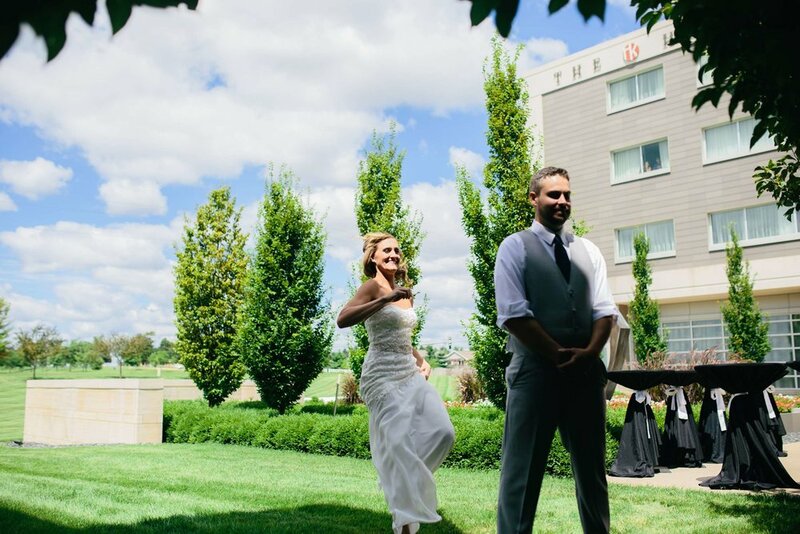 We like to follow up the first look with formal photos of the couple as it carries on that wonderful, romantic moment before moving onto family and wedding party photos. One of the best things about getting formal photos done at the beginning of the day, is you look incredible! Fresh faces, hair is on point and neither of you has gotten the chance to dirty your attire. Imagine its your wedding day, you decided not to do a first look, you’ve taken as many photos as possible separately, but there are still many you need to take together as a family, wedding party and your formals. The ceremony didn’t start at 4:00 like it was supposed to and it is five minutes behind. Your ceremony is lovely and wonderful, but now you have the receiving line, which lasts 20 minutes putting you close to 5:00 and you need to start the combined family photos asap. Your family is scattered, your outside and it’s a hot and humid summer day. Your grand entrance has to start at 6:00 so that dinner can be served at 6:30. Family photos take 20 minutes and wedding party photos are a very quick 15 minutes. Now, it's finally your turn to be alone and you are sweating your faces off and you only have 15-20 minutes for beautiful formal photos as a newly married couple. The truth, weddings are unpredictable and there are often delays. Please make sure you are prepared for what your day could bring as we wish for you nothing, but wonderfulness, love and splendid memories, not stress. We want you to look beautiful and handsome and look back at your photos and video and remember how enjoyable those moments were together. A first look will save time as you move from ceremony to reception. We suggest scheduling the wedding day so that the majority of, if not all photos are done before the ceremony, giving you time to relax and enjoy cocktail hour with the rest of your guests. Remember your guests are there for you and by doing a first look you are opening up more of your time to enjoy their company.